Learn the simplest way to start your MySQL database with Docker with only two commands. Docker is an open-source project that automates the deployment of applications inside software containers. These containers will be used to isolate our MySQL server and phpMyAdmin client. The phpMyAdmin most communicate each other so is necessary create a Docker network and add both into it. # Create the network called "asgard"
The following command will create a MySQL container. Below I'll show you the params. Change as you wish and adapt to your use. The following command will create a phpMyAdmin container. You will need to link to MySQL container, so the phpMyAdmin can connect and access databases. # cause the Docker network create the route as a DNS server. 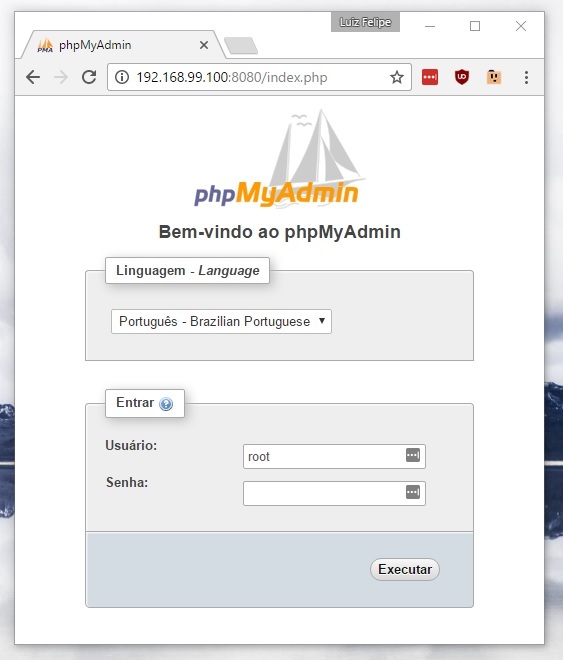 Go to the browser and access the phpMyAdmin. The default user is “root” and password will the password set on MySQL container creation.